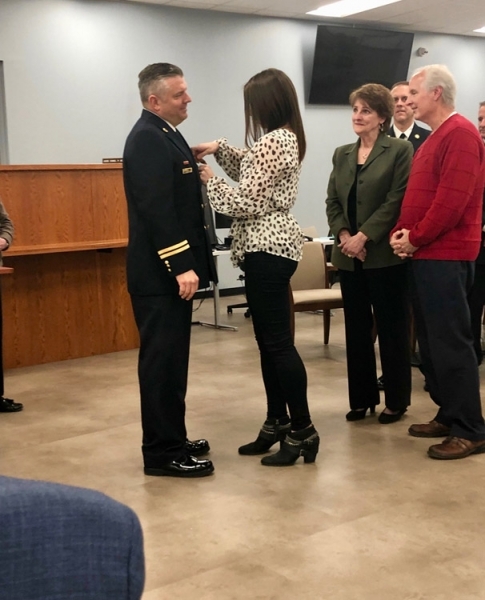 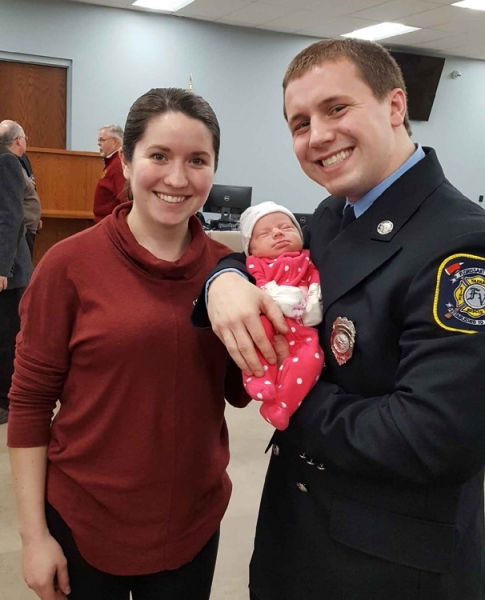 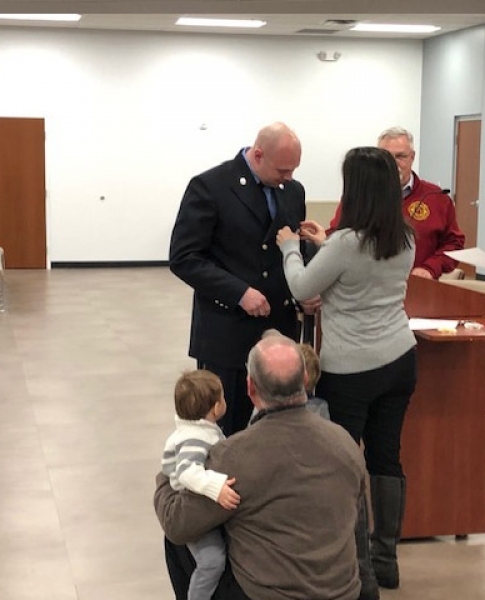 The Florissant Valley Fire District is pleased to announce Battalion Chief Jason Hoevelmann has been selected to become the next Chief of the Department upon current Chief Scott Seppelt’s retirement in March 2019. 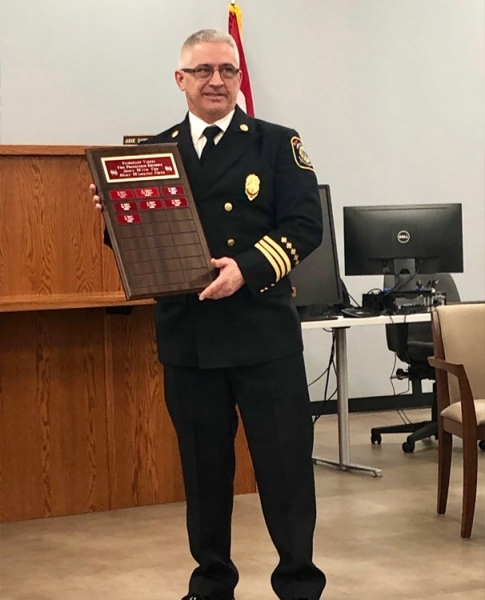 Battalion Chief Hoevelmann has been with the district since 2000, rising through the ranks from Firefighter/Paramedic to Captain to Battalion Chief. 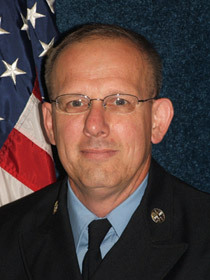 Battalion Chief Hoevelmann is an accomplished author, having been published in trade magazines such as Fire Engineering, and a sought-after speaker at conferences such as the annual Fire Department Instructor’s Conference (FDIC) in Indianapolis, IN which draws in excess of 25,000 attendees from around the world. 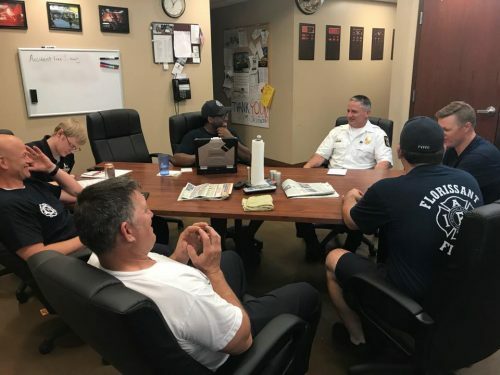 Chief Seppelt talks business with the on-duty crew in the most important meeting space of any Fire District, the kitchen! 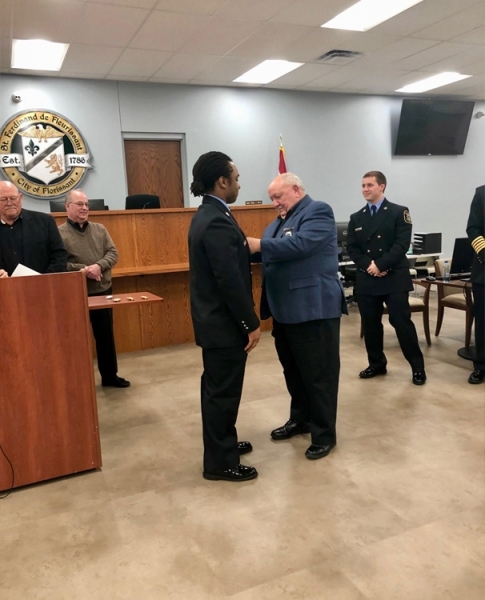 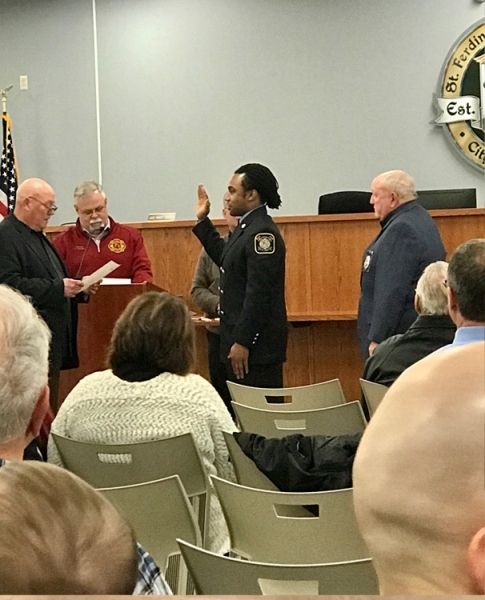 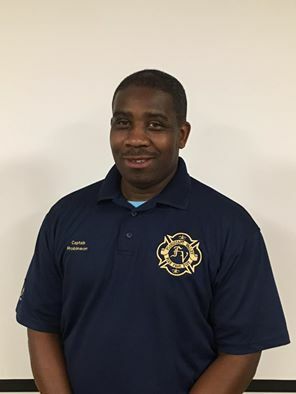 The Florissant Fire District is proud to announce the promotion of Captain Cliff Robinson to the position of Deputy Chief/Fire Marshal. 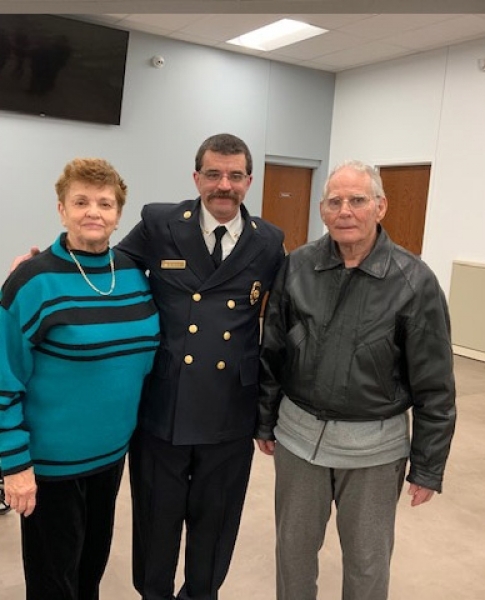 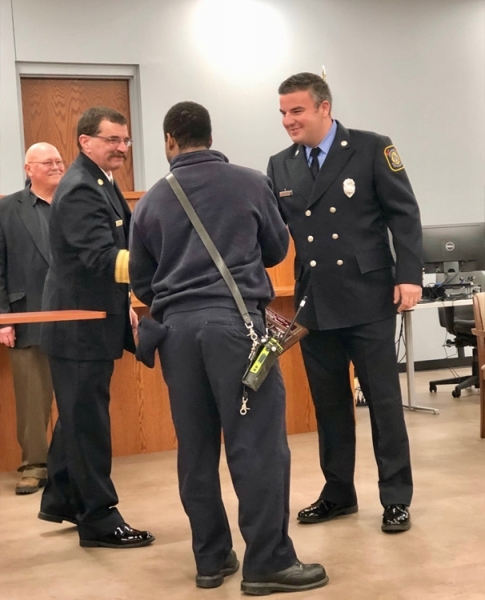 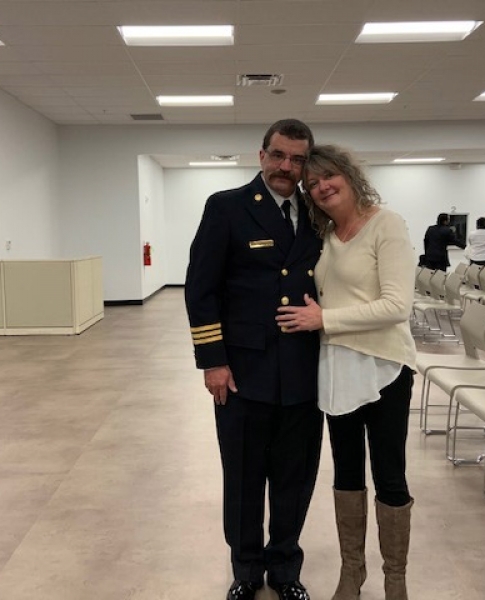 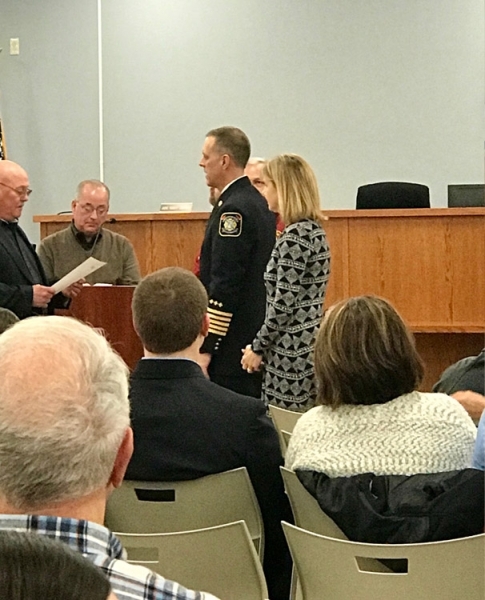 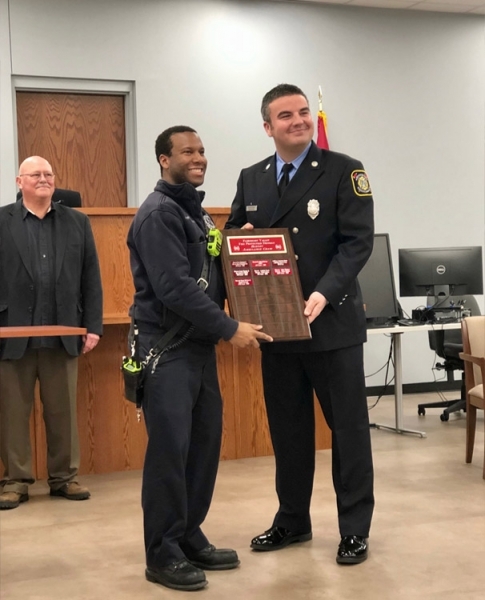 Cliff will assume this role upon the retirement of the current Fire Marshal, Steve Gettemeier, who will be retiring at the end of this year after 40 years of dedicated service to the Florissant Fire District. 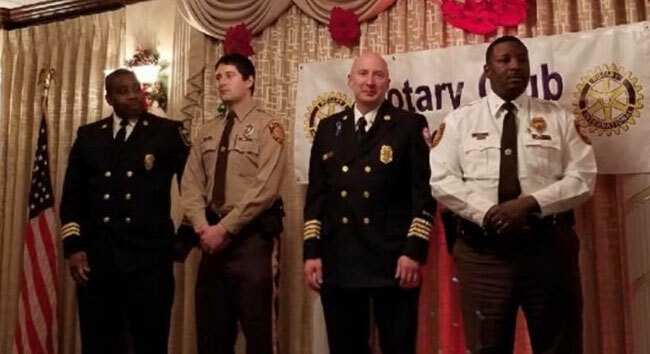 On October 25, 2014, St. Ferdinand Parish and School hosted the Race to the Shrine, a 5K Run/Walk through Old Town Florissant to the St. Ferdinand Shrine. 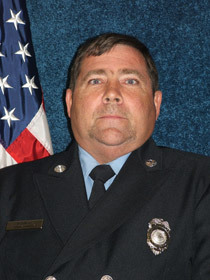 During the run, one of the participants collapsed and went into cardiac arrest on the course. 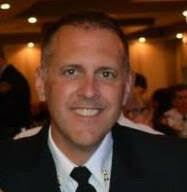 Spectators sprung into action and administered CPR to the fallen runner. 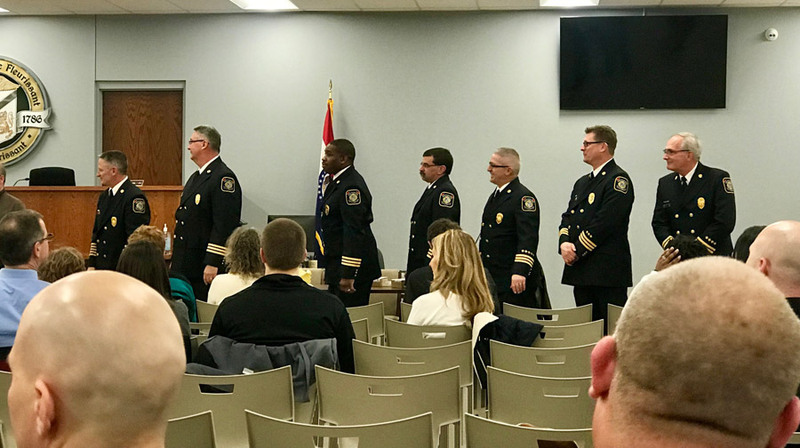 Florissant Valley Fire Protection District units 4015 & 4017 responded and were on-scene within minutes to initiate Advanced Cardiac Life Support. 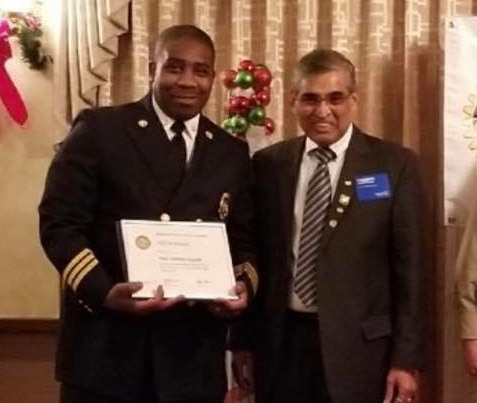 The runner was resuscitated and transported to the hospital for further care. 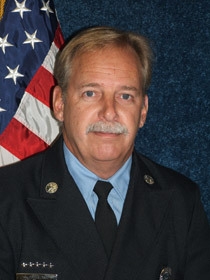 Ultimately, he was discharged after a complete recovery. 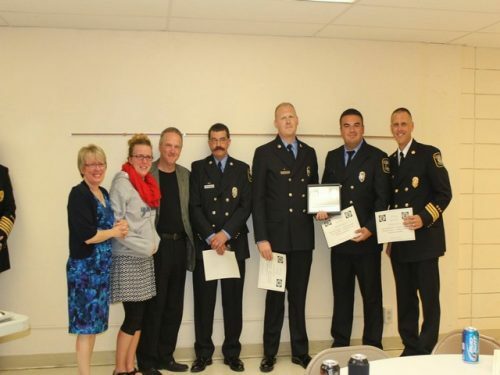 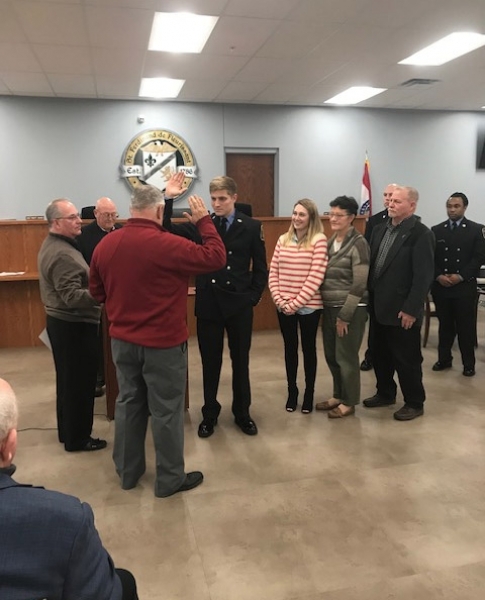 Last night, May 31, 2015, Mr. Mark Young and his family joined the Florissant Valley Fire Protection District family to recognize the crew who resuscitated him (Firefighter/Paramedics Russ Kleffner, Brian Grossenheider, & Brian McHugh, Engineer Mark Schaeffler – not pictured – and Battalion Chief Jason Hoevelmann), award the crew their Clinical Save certificates and pins, and present to them and the district his medals from the Go! 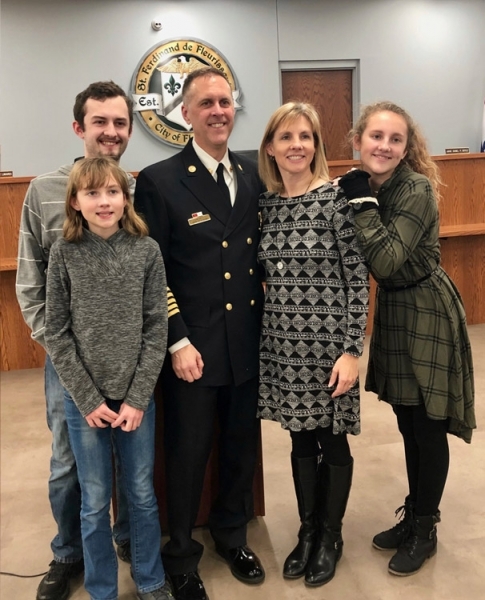 St. Louis Marathon, which he completed six months after his event. 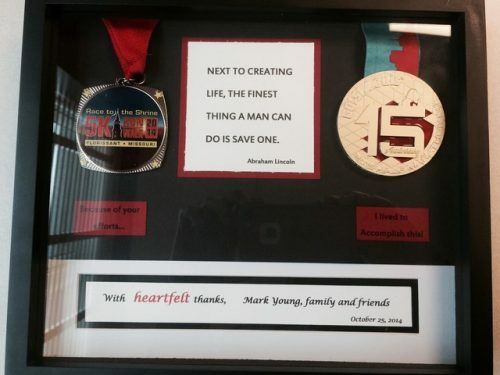 He said completing the marathon wouldn’t have been possible without the men pictured with him. 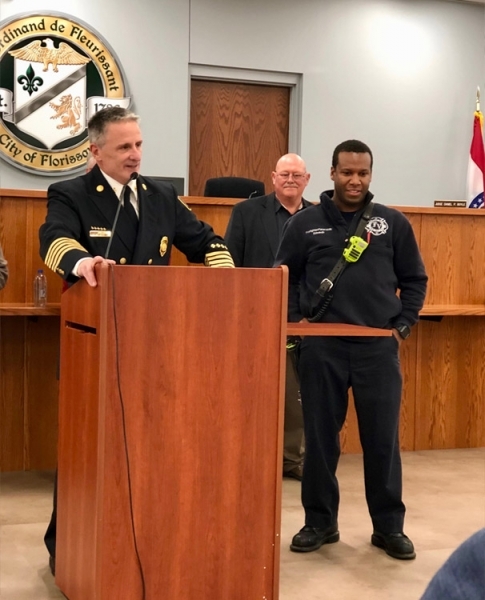 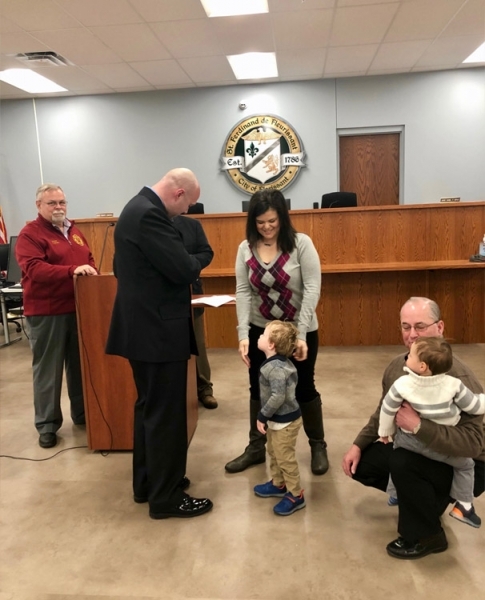 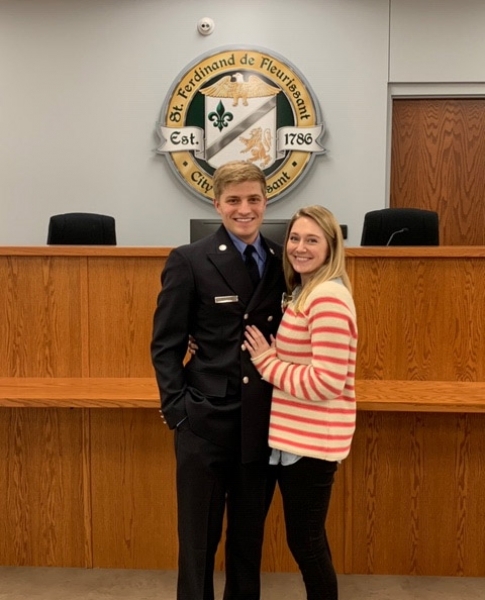 The Florissant Valley Fire Protection District is grateful to Mr. Young and his family for taking the time to join us in celebration and couldn’t be happier at his recovery.